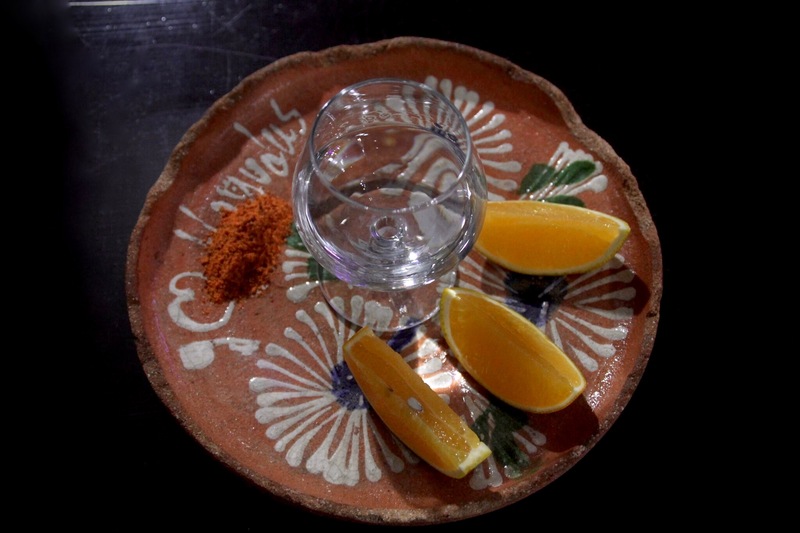 Magical Mezcal…God, I love this stuff! I like the clear ones, the jovens. I like them pure, smokey and unaltered by wood. Tobala with it’s fragrant, floral aromatics and soft, sweet notes that glide on the palate, espadin’s assertive bite and bold taste, and the very special pechuga which has an unexpected richness and viscosity that comes from the oils leeched from a raw chicken breast and tangled in the oils are bright aromas of citrus and nuts and hints of herbs that have been stuffed inside the bird. To sit and sip at the end of a day, maybe with a little beer back to boot and certainly a few slices of orange and quintessential sal de gusano (worm salt.) It’s worth taking your time with it and enjoy slowly. Mezcal is wild, unhindered and strong. It reflects it’s region of dry, harsh desert, complicated history, and strong people dedicated to tradition. Mezcal is hands down one of my favorite spirits. It’s made from the agave plant and produced only in Mexico. Although agave grows throughout the country, 80% of mezcal comes from the region of Oaxaca where it’s taken very seriously and a staple of life. 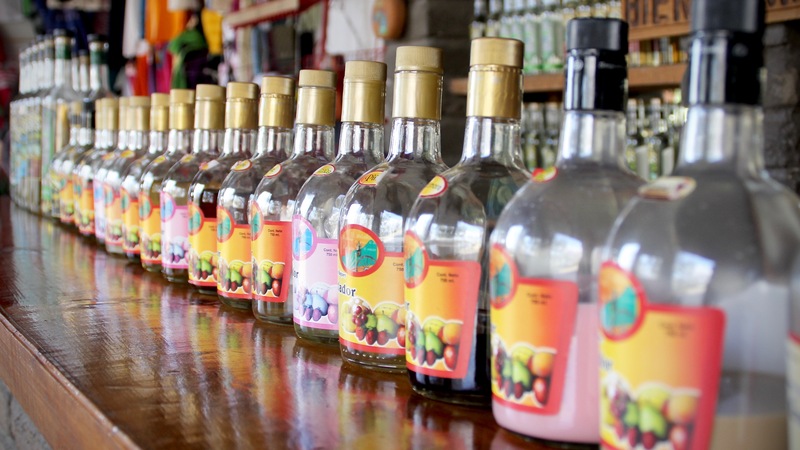 Mezcal is made much like it’s more popular cousin, tequila, which is made specifically of blue agave only. This means that all tequila is technically mezcal but mezcal is not tequila. The slight differences in production make for big differences in the glass. The most remarkable distinction is mezcal’s smoky quality. The piñas, or heart centers, of the agave plants that are used to make mezcals spend time being cooked to attain those smoky notes. Mezcal, unlike tequila, can also be made from a wide verity of agaves, each one having distinct and unique flavor profiles. More than 30 different verities are used. 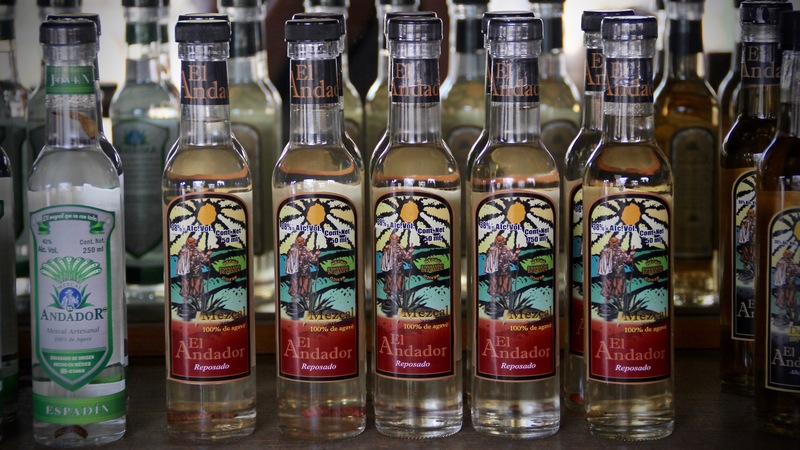 Espadin, arroqueño, cincoañero, tobalá, and madrecuixe are some of the most popular and each one boasts unique aromatics and taste. 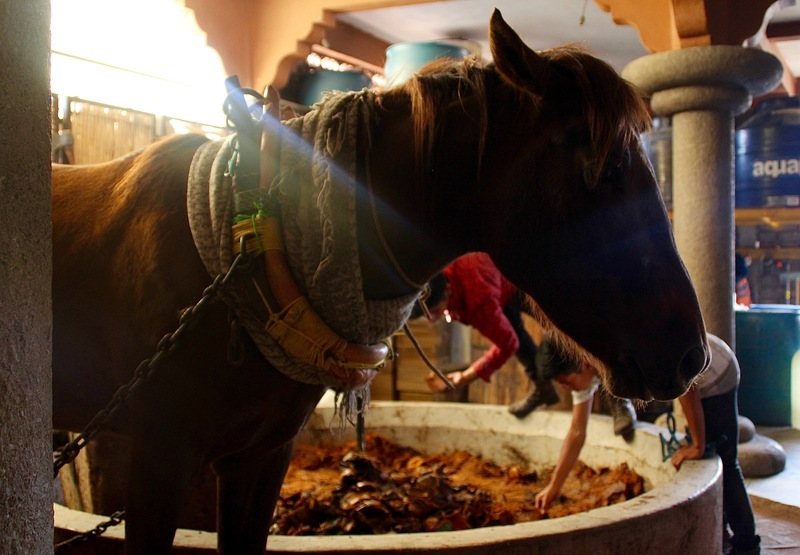 One thing that makes mezcal so special it’s continued small-scale, noncommercial production. Rolling through the countryside one can drive right past hundreds of mezcalfábricas without ever realizing it. It’s made in people’s homes and backyards. 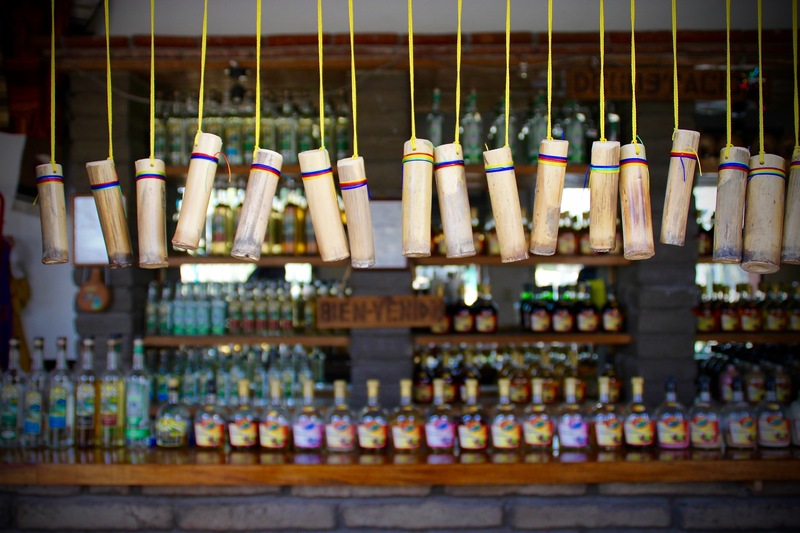 Recipes and methods are kept in families that produce small amounts of mezcal that can range from carefully crafted to questionable moonshine, forcing intimate inspection and understanding of the product. In many homes, it’s still made with utmost tradition and handcrafted techniques. A storefront with neatly lined shelves and friendly faces will usually take you past a pile of toys, TV blasting, someone cooking and tending to household needs to a small room in that back that holds a few wood barrels fermenting, piles of piñas roasting, and a horse spinning dizzying circles, dragging a heavy circular stone in the most traditional method of breaking down the agave. Careful inspection and assessment are constant. The worker’s move in sync with the animal, perfectly timed. It’s a dance. The stage smells of smoke that lingers in the background from the underground roaster which gives off strong waves of heat. The trot of the horse sets the rhythm. The show is as intriguing as the drink itself. 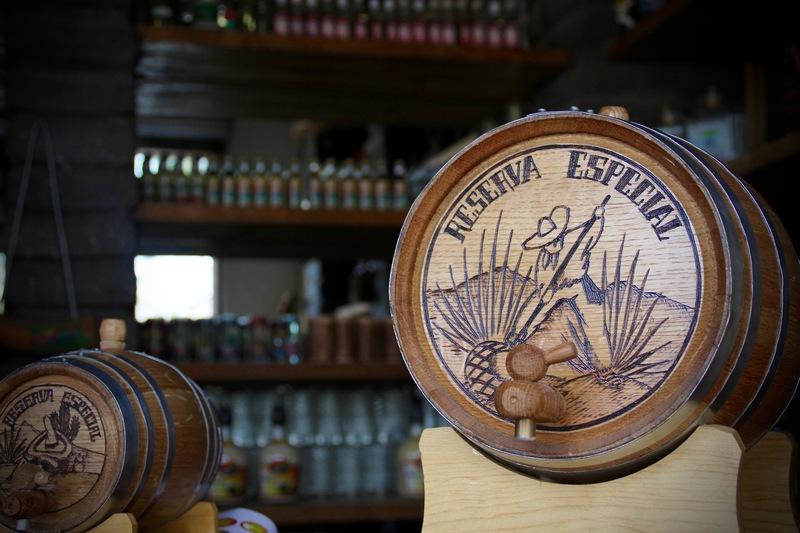 Some of the mezcal will be aged in barrels adding complexity and the profiles of the many varieties. 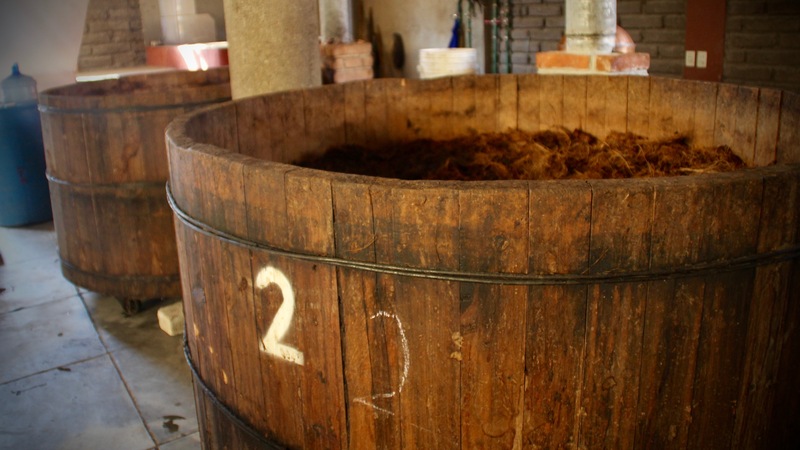 Reposados spend two to nine months in the barrel, anejos spend no less than twelve months and up to four years. Laborious efforts that produce grand results. People really love their mezcal, perhaps that’s how they’ve justified the saying, “If you drink too much mezcal, they don’t say you are drunk; they say you are “closer to God.” Sounds good to me. Salud.